When I first meditated, sometime in 2000, I was self-conscious enough about my weird new hobby that I did it in a locked bathroom. Today, mindfulness has gained pop culture acceptance, and has become the subject of serious scientific interest. My fellow “nerds of the mind” and I have become the cool kids, and we don’t have to be self-conscious any more. Even most non-practitioners seem to believe that mindfulness can somehow calm our nerves and clear our heads, and that it’s probably an all-around good thing. Beyond that though, it’s not clear how it’s so helpful. How, exactly, does watching your breathing, or tuning into the ambient sounds of neighborhood birds, produce the drastic improvements to everyday life that mindfulness nerds like me are always talking about? The proclaimed benefits of mindfulness practice are wide-ranging, almost suspiciously so. Aside from the impressive clinical reports—reduced stress, better sleep, lowered blood pressure—mindfulness practitioners credit it for untangling problems that seem much more personal and situational: relationship troubles, motivation issues, bad habits and addictions. Significant energy, money and time are being invested in mindfulness by organizations who obviously aren’t after spiritual enlightenment. Its mysterious powers to make human beings generally more effective and resilient are currently being explored by corporate productivity experts, police agencies and even NFL teams. Many times on Raptitude I’ve credited my daily meditation practice for transforming my social life. I used to have such intense social anxiety that I could barely phone a store to ask their hours without hyperventilating. Today I feel free to talk to almost anyone anywhere. I’m still a happily introverted person, but that particular kind of suffering, which once dominated my life, is almost entirely gone. It’s obvious to me, and probably nobody else, how this happened. I also credit mindfulness as the main factor in curbing my impulsive spending, improving my eating habits (and drinking habits), allowing me to be fully rested on less sleep, and virtually eliminating boredom from my life. Others credit their practice for their success in quitting smoking, overcoming pessimism, or repairing their relationship. This rainbow of purported benefits might actually be a liability for mindfulness’s public image. It sounds too good to be true, first of all. And if it’s doing that many things, it only makes the how it works question murkier. It’s famously hard for us meditators to explain what it does for us, beyond saying, “I just feel better.” Even now, I often start my answer with “Well, uh, it’s complicated…” which can only signal to the explainee to begin politely nodding. Mindfulness practice itself isn’t complicated, but explaining how it changes a person seems to be. How do you describe a different, less habitual mode of experiencing the world, and how it changes your relationship to your feelings and your behavior? It’s all internal, so to talk about it makes it seem so abstract. Once you’re practicing consistently, the mechanism behind this kind of growth is easy to feel, but it remains hard to explain. It seems like all you can do is describe how your life has changed, glossing over whatever magic must connect the practice to the benefit. For a short time every day, you practice observing present-moment experience unfold, doing your best to refrain from the habit of evaluating it or trying to control it. You can’t help but notice that your sensory and emotional experience is constantly changing. Feelings and experiences are perpetually arising and fading, second by second, and you become a lot more relaxed about that. You become less clingy towards the pleasant experiences, less distressed by the unpleasant ones, and less bored with everything else. This “openness to experience” begins to feel increasingly natural. It becomes much easier and less scary to operate outside of your habits and comfort zones, whenever it makes sense to do so. That’s part of it, anyway. This is how the shy can become confident, the clingy can become easygoing, the frantic can become patient, and the bored can become satisfied with ordinary moments. Meanwhile, to the uninitiated, it’s not at all clear why sitting on the floor with your eyes closed, or paying undivided attention to your Cheerios, might transform your social life or make it drastically easier to stick to a fitness regimen. 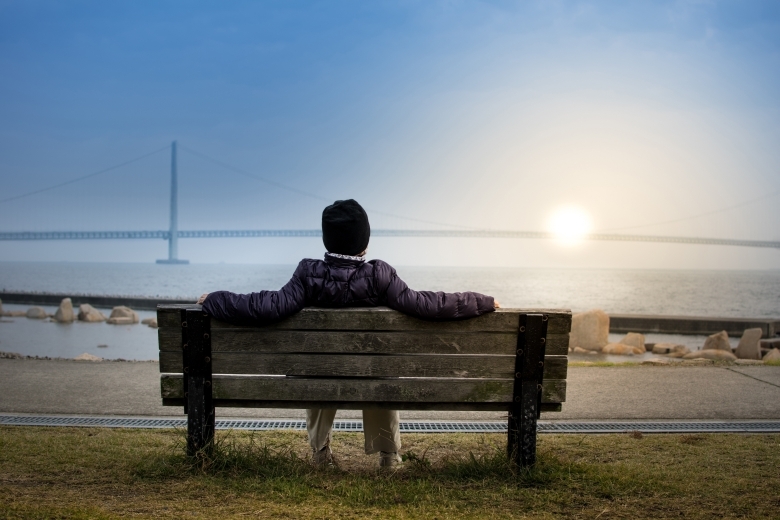 Despite mindfulness having become a kind of cultural darling, “Why do it?” is still an open question for most people, and “because it’s good for you” isn’t a complete or particularly useful answer. The traditional contemplative response is often even worse: just do the practice and all will be answered in time. That response might suffice for a group of novice monastics, who are already committed to spending a lifetime, or several, exploring their minds. But for everyday Westerners—who have very little time, and a thousand things they could be doing other than sitting on the floor, observing nostril-related sensations—it’s just more encouragement not to bother. Knowing how easy it is for us not to practice mindfulness, I’m determined to give potential practitioners detailed, straight answers to both the “Why bother?” question and the “How can it possibly do that?” question. More or less, that’s the purpose of this blog. Rather than make this too long-winded, I’ll get more specific in the next post. 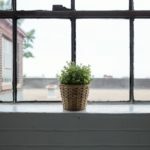 While I could easily describe twenty concrete ways it’s improved my life, there are three main benefits of mindfulness practice that I believe are universal, and each one alone is worth the price of admission. Welcome to the Camp Calm Blog. Nice! I’m glad you decided to dedicate a blog to writing about things that you truly, deeply care about. All the best! Thank you! So am I. Feels great to have this space. I’m glad you started this new blog. The world could definitely use more simple explanations of the benefits of mindfulness (meditation). I hope you’ll enjoy writing here and I look forward to reading the articles! Thanks Peter. I didn’t intend to make it a cliffhanger, haha. It was a big long post that I needed to cut in half. Almost all of my blog-post writing experience is on Raptitude, where things run a bit long. I’m looking forward to getting used to different lengths and formats and angles on this site. It’ll be a fascinating journey, David! I’m looking forward to seeing more here. I didn’t really expect to be a subscriber, even though I am also ‘working on’ being more consciously mindful, but here I am, pushing the button! I look forward to deepening my efforts in mindfullness with this new blog. Great idea. I love your writing style and the way you dive into topics and so eloquently share your revelations. So, I am definitely on board to follow your ideas on the Camp Calm blog. It is, yes. That and lots more to come! Delighted to be see this blog in existence! I have been an avid reader of Raptitude for a while, and you are without doubt one of the main reasons I came back to meditation about 18 mths ago after several failed attempts. Your eBooks on the subject really kick started a process that ended up with Dan Harris’s book. For that, I thank you wholeheartedly! Congratulations and good luck. I look forward to hearing your future musings on a topic now very close to my heart. Hi Chris. Sorry you were actually the sixth or so… I still had comments set on “moderate until user has one approved comment”, so next time it will appear right away. I’m glad you have returned to meditation. If I can help with your practice in anyway, shoot me an email anytime. So glad you’ve created this. Very much looking forward to reading more. Thanks Vince. Much to come. Beyond the benefits and explanations of how it works lies the original intended purpose of meditation, as codified by the mythical Patanjali. It’s pretty simple: to connect with the Ultimate. Hi Don. I think it’s true that we tend to overcomplicate meditation, but there’s still a certain amount of explaining necessary. I think it is hard for most everyday people to know what it means to “connect to the ultimate” exactly, which is why I want to take a more straightforward tone about it. So glad your’re doing this, David! My first experience with Camp Calm (1.0 🙂 ) was transformational so I am very much looking forward to the new, improved Camp Calm 2.0! One of the key things meditation has taught me is awareness of the stories that I am making up – especially those around what other people are thinking, their expectations of me or what their intentions are. Separating from those stories alone (and the related varying levels of anxiety) has been responsible for many of the benefits that you outline above. I’m excited to see what insights await! Hi Kirsten! The commentary our minds make about what we see is such a huge part of our experience, and we barely even notice it. When it comes to our commentary about other people, it’s especially important. “Am I seeing that person, or just my thoughts about that person?” is a helpful question to remember. After you’ve been doing that a while, the distinction between the thing and the story about the thing seems so clear, but we still forget it so easily. Thank you for starting this blog David. I’ve been following you for some time now and I always find your posts inspiring. Lately I’ve been trying to be mindful more often during the day and I love the feeling of peace it brings. Good luck to you always and I look forward to reading more of your posts on this subject (as well as your posts on Raptitude). Hi Heather. Welcome to the new place. I’ll provide a lot of practices for being mindful throughout the day on this site. “You become less clingy towards the pleasant experiences, less distressed by the unpleasant ones, and less bored with everything else”…that pretty much sums it up! CONGRATULATIONS DAVID on your “new place”. I, like Chris, wanted to be first to comment (tried to do so today at 6am EST). Looking so forward to your articles in this spot and the upcoming edition of Camp Calm. Best of luck to you my friend. Thanks so much Randy. It’s always great to hear from you. Look forward to more of your thoughts on why and how meditation is beneficial. Though I haven’t fully overcome social anxiety, I’ve benefited in so many ways from practicing meditation. This week, for example, it’s been very helpful in dealing with the stress of corporate restructuring. I feel very fortunate to still have a job, but it has been painful to see how everyone involved is affected by a dehumanizing process. After a long sit, I decided that my role in the mess is to be a source of kindness and compassion. Stepping outside of the chaos and focusing on the ability to make a positive difference in people’s days has brought me peace and a growing sense of equanimity. Thanks for creating the space to share this important wisdom! That is one major effect in my experience… you start taking your own troubles more in stride, and you become much more aware of the struggles of others. It just tunes you into that wavelength. It makes it easier to help others. So true. There is something very deep and intuitive about observing yourself and separating the meaning you associate with physical perception or at least have a space between noticing it, and assigning a meaning to it, which itself is another physically perceptible action. I can’t write one blog, which covers how mindfulness has changed me. It might not have changed me at all, but changed the plugging between the different layers of me. I really benefitted from mindfulness becoming popular. That is how it reached me. It played a pivotal role since. I was very very lost at that time, and nothing else would have helped. I was like an instrument that was completely out of sync with what was around me, and every moment was painful. But trying to synchronize only created more pain. I didn’t know what would have helped. Observing myself provided this place of calm and stability. But that was only the beginning. In just 2 years 2 months, I am an instrument playing its note, with its own place. There is no need to synchronize as we are all instruments playing our own best notes. One thing I wish there was more description on was how mindfulness can lead to different experiences in different individuals. There are some core commonalities, but in the long run, the experiences can be different. I went through depression recently. But it was different from typical depression. Typical depression is about losing hope, and not finding any enthusiasm. This depression had an addition layer to it, there was a part of me which knew this is the right direction. The symptoms resembled depression, but the over all feel was progress in some direction. I wasn’t very spiritual, so I had no idea how to relate to it in the beginning. I had to follow spiritual descriptions of awakening and dark nights of the soul, to feel at home. And it helped. But in my own way. There is something about assigning meaning to things. Deep down we already know it somehow. But we pften fall in the trap of assigning meanings based on what everyone else SEEMS to be assigning. SEEMS is a keyword. Human existence is a motley of layers. Shared and individual. Everyone has an individual side. That is one vital function of mindfulness — it allows you to see the difference between a present-moment experience and the meaning we assign to it. Just remembering to ask yourself “Am I seeing that person, or just my thoughts about that person” can go a long way, but mindfulness practice makes that kind of discernment almost automatic. This is AWESOME David… I am continued to be impressed by how it seems you can read my mind when I read your stuff and this is no exception. Having started Headspace 52 days ago and seeing the incredible results it is having in my life, this is exactly what I was looking for as a next step. Thank you for creating it! So glad you have started this blog. I’ve been intrigued by meditation for a few years now but never have actually bit the bullet and tried it myself. It’s kind of odd that I haven’t tried…. since clearly only good can come from it. I’m going to follow along and hopefully will become motivated enough / brave enough to finally start meditating. Living in NY it’s amazing I’ve gotten by without it for so long! We’re in a strange window, culturally — mindfulness is talked about everywhere and praised everywhere, but it’s still only practiced by a minority of people. I hope the more mainstream it gets, the less daunting it will seem. If there’s any way I can help you get started, let me know. Very excited about this new blog! Raptitude has outlasted my other email subscriptions to be pretty much the only updates I actually consistently read (or star for later reading). I’ve been meditating for just over 2 years now and it’s definitely been one of the most positive influences on my life in recent history. Love your down-to-earth take on it and all the other subjects of Raptitude. Stoked to keep reading your blogs! Thank you for this insightful post! Looking forward to the next installment. So many of us are beginners with respect to mindfulness, and your blog will be a great help! I hope so! If there’s anything in particular you’d like me to cover let me know. I’ve been meditating for about 25 years, often daily. In the last few years it has been wonderful when I find myself in unplanned meditations. Waiting in a Dr’s office can be a great place. Sitting at my desk I started what I consider a psychonautical exploration. I often close my eyes in different situations and ‘look’ at the curves and corners of my internal space. One thing I have heard from others is the unpleasant changes that come with stopping meditation. I don’t get that. My daily practice comes and goes as my life changes, but I have always returned to daily practice, not like I’m running from a bad thing, just returning to a good thing. Mindfulness in particular can be life-saving. I too suffer from depression, and can be obsessed by thoughts of suicide. A couple years ago I found I could cope with this thru mindfulness. Hard to obsess when I am registering the texture of the surfaces around me, the colors, the smells, the sounds. Great to add another link to my Spirit folder. 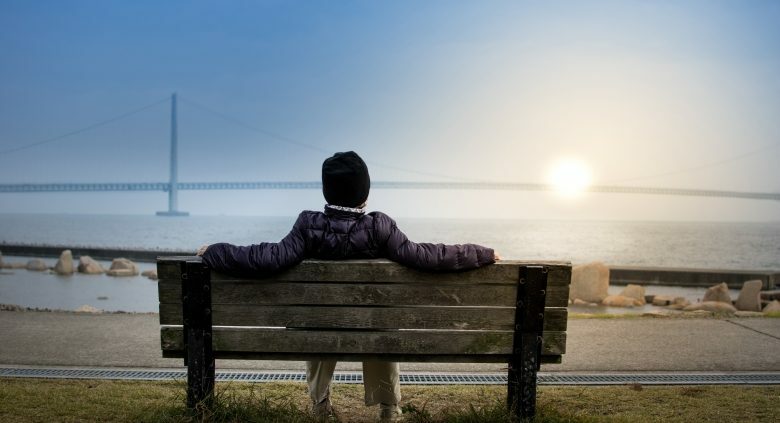 That’s one great thing about mindfulness that sets it apart from other pursuits: you can practice it absolutely anywhere, because all you require is a mind and a present moment experience. I’ve always thought about it like this: Meditation gives you more willpower. That’s the explicit benefit, with direct cause-and-effect. Willpower is a muscle, and meditation is exercising that muscle, making it stronger. Increased willpower is what leads to all the other benefits, like getting more things done. In my experience, it does make it easier to do the right thing, in moments when there’s a tempting easier (but worse) choice on the table. The way I think of it, it reduces the amount of willpower necessary, which may be the same thing anyway.